Easy! Easy! Easy! All you need is form stickers and pipe cleaners. 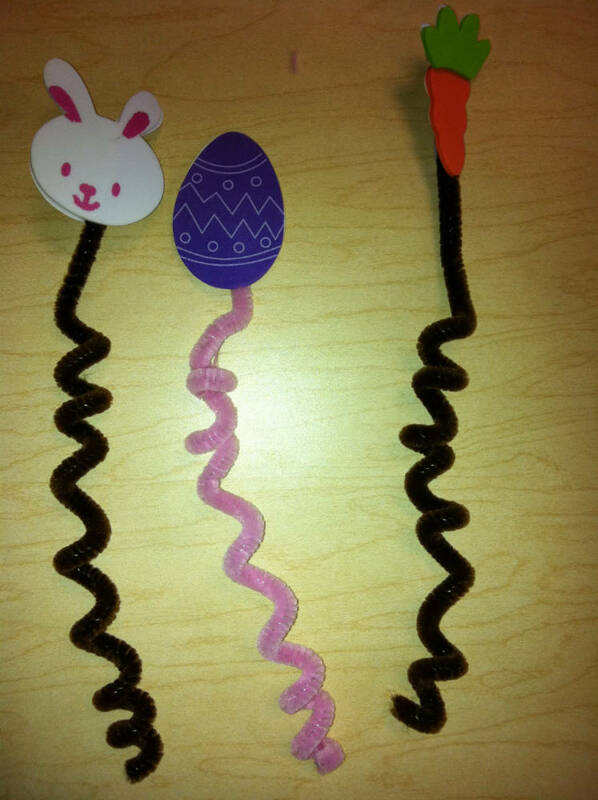 Have the student pick a sticker and add it to the top of their favorite color pipe cleaner. Then show them how to rap the pipe cleaner around their entire pencil so just the top sticks out!